the Home Rule Act, 18 September 1914. Keynote address by John Bruton, former Taoiseach and former EU ambassador to the United States. Dermot Meleady, author of John Redmond: The National Leader and Redmond: The Parnellite. 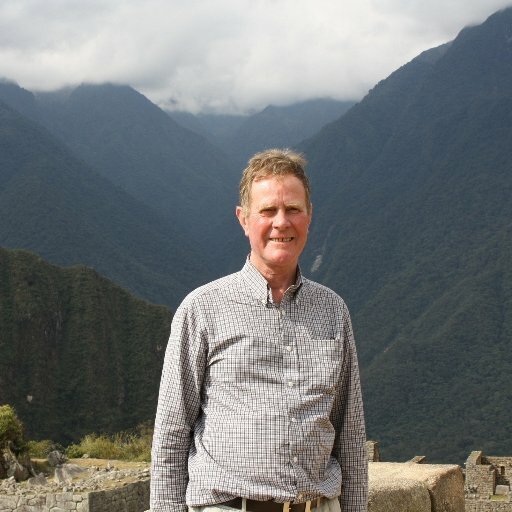 Prof. Eunan O’Halpin, Professor of Contemporary Irish History, Trinity College Dublin, author of Defending Ireland: The Irish State and its Enemies since 1922. Professor Emeritus Ronan Fanning, University College Dublin, author of Fatal Path. Chairman: Patrick Maume, author of The Long Gestation. On 18 September 1914, six weeks into the Great War, King George V signed the Home Rule Act into law. The Act provided for the setting up of an Irish parliament with an accountable executive, empowered to govern all internal Irish affairs under the overall supremacy of the Westminster Imperial parliament. It was the climax of a parliamentary process that had begun in April 1912 with the introduction of the Third Home Rule Bill. It was also the culmination of a 40-year struggle waged by constitutional Irish nationalists in the Westminster parliament with the democratic backing of the great majority of Irish nationalist electors. It was thus a victory for the Irish Parliamentary Party and its leader, John Redmond, the heir of Parnell and O’Connell. Redmond was expected on all sides to be the first prime minister of a self-governing Ireland. Only two obstacles stood in the way of the Act’s immediate operation. First, with political debate suspended and all attention focused on the War, the setting up of the Irish parliament had to be postponed until the end of the conflict. Second, and more seriously, although partition arrangements to exclude the unionist areas of Ulster from the Act had been discussed, no agreement had been reached. Thus, the precise territorial remit of the Irish parliament-to-be was unclear. The placing of the Home Rule Act on the Statute Book was accepted by Redmond as the fulfilment of the promise of ‘the British democracy’ to Ireland, and paved the way for his call to nationalists to repay the ‘debt of honour’ by enlisting in the British forces fighting on the continent – a call answered by 210,000 nationalist and unionist Irishmen. Subsequent efforts to implement the Act were overtaken and sidelined by events – the prolongation of the War, the Easter 1916 rebellion – that few had anticipated, events that compounded the difficulties posed by the partition impasse. The Act thus was never implemented in nationalist Ireland. The speakers at this seminar explore, from different viewpoints, the meaning of the Home Rule Act for Ireland, then and now, and such thorny questions as whether its signing deserves to be celebrated – or merely commemorated. It is encouraging to see Tom Cooper (Letters, April 28) entering the debate on Ireland joining the Commonwealth. 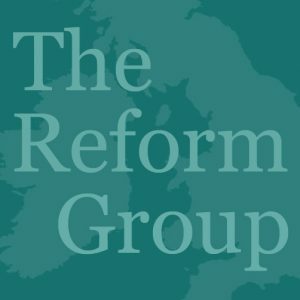 The Reform Group has promoted this debate on its website (reform.org). It is regrettable that Mr Cooper suggests membership would lead to the ‘re-Britishing’ of this country. This is not the experience of the 52 members of the Commonwealth, 32 of which are sovereign republics. The Commonwealth ceased to be Anglo-centric in 1949, when its name was changed from the British Commonwealth. We played a role in this process. The Commonwealth was formed by leaders of national liberation movements, such as Nehru (India), Nyerere (Tanzania), Kuanda (Zambia), and Mandela (South Africa), who brought his country back to the Commonwealth after independence. The key figure in the Commonwealth is the Secretary-General, not Queen Elizabeth, who is the symbolic head. Queen Elizabeth has no authority to interfere in the affairs of Commonwealth countries. The Secretary-General carries out the policies of heads of government in promoting democracy, human rights, equality, aid and the rule of law, all in line with the policies of our government. Benefits include the “impact on trade, environment, and social and economic stability”, to cite the recent words of the Secretary-General, Kamalesh Sharma. Reform would argue it is surprising we are not already a member, as the ties between the UK and Ireland have been profoundly strong over the span of history. Many thousands of Irish people move to the UK every year. About 25% of the British population has some Irish heritage. We share identities, cultures, faiths, language, profession, political and legal structures and, of course, trade on a large scale. Some Commonwealth countries give, and have given, hope and new lives to our youth, providing a safety valve for our unemployed. Let’s not forget Irish people played a major role in building the Commonwealth at all levels. Mr Cooper’s views about the Commonwealth sadly suggest an insecurity about our relationship with the UK, rather than confidently embracing our independence, while expressing our shared identity within the Commonwealth. ANNE HOLLIDAY, who has died aged 57, was a founder member of New Consensus, the group which called for the revision of the Republic’s territorial claim on the North and devolved government for the people of Northern Ireland based on “mutual respect, civil liberty and freely given allegiance”. She also was involved in organising the first rail journey by the Peace Train from Dublin to Belfast, as part of its campaign to end disruption of the north-south rail link by the IRA. In 1991 she helped organise the Peace Train’s journey from Belfast to London via Dublin. The following year, however, the Peace Train and New Consensus went their separate ways. She remained with New Consensus, which picketed Sinn Féin árd fheiseanna in opposition to republican violence. The group also picketed UDA offices. New Consensus had its critics. Accused of focusing exclusively on paramilitary violence, the group stated its repugnance at “all cases where agents of the Irish or British governments have killed people who posed no immediate danger to life”. It expressed its support for the existence of the security forces, north and south, but not of paramilitary organisations. In 1994, following the IRA’s ceasefire declaration, New Consensus called for a complete cessation to be reciprocated by loyalist paramilitaries in addition to scaled-down security force activity, north and south. Anne Holliday was born in Limerick in 1953, the eldest of two daughters of Ralph Melvin Holliday and his wife Vera (née Davis). Educated at Villiers School, Limerick, she became a Simon Community volunteer and also was a founder member of the local Irish Arialn Society chapter. She became a secretary at the law firm Matheson Ormsby Prentice in Dublin where, in the late 1970s, she campaigned to save Wood Quay. A member of Fine Gael, she later joined the Progressive Democrats. In 1986 she became a Dáil secretary, working for PD deputy Michael Keating. When he stood down she was assigned to Green Party TD Roger Garland. After he lost his seat in 1992 her employment was terminated; a High Court challenge to the dismissal failed. Having worked for a training company and as a researcher, she joined the Civil Service in 2001. Appointed personal assistant to National Museum director Pat Wallace, she later worked in media relations and special projects at the department of arts, sports and tourism and in the tánaiste’s office at the department of enterprise, trade and employment. In 1996 she was one of three plaintiffs awarded substantial damages in a libel action against Tim Pat Coogan and his publisher at the High Court. The case arose from Coogan’s allegation in his book, The IRA, that New Consensus had “grown out of the old Official IRA”. In 1998 she took part in the launch of Reform, a coalition of “new unionists for the new millennium”, describing herself as “a member of the Irish minority that the Belfast Agreement forgot”. She lived in Drumcondra, where she was active in conservation and residents’ rights issues. Her first marriage ended in divorce. In 2009, after being diagnosed with cancer, she married her long-time partner Michael Nugent. He and her sister Carolyn Patterson survive her.